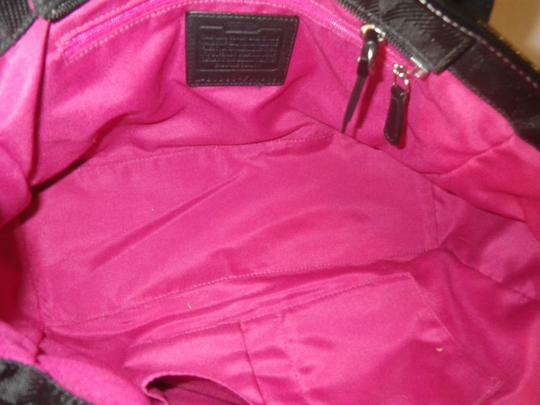 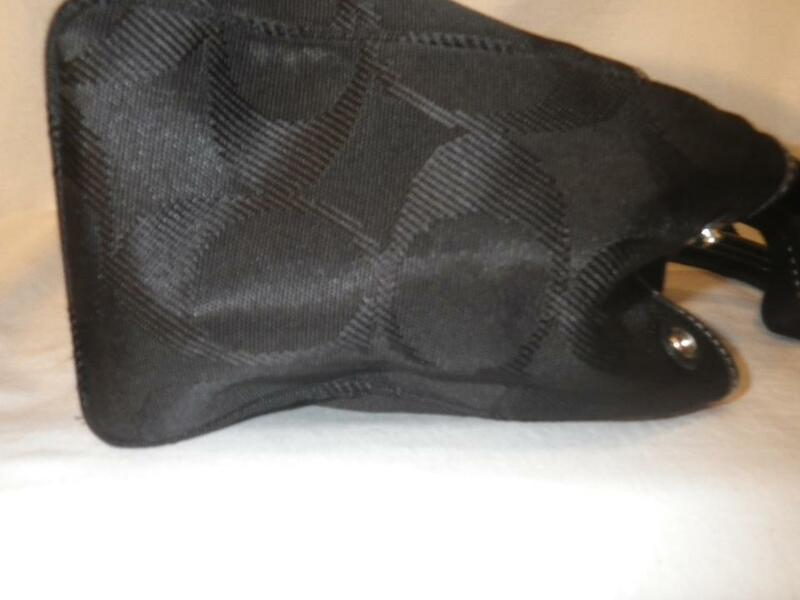 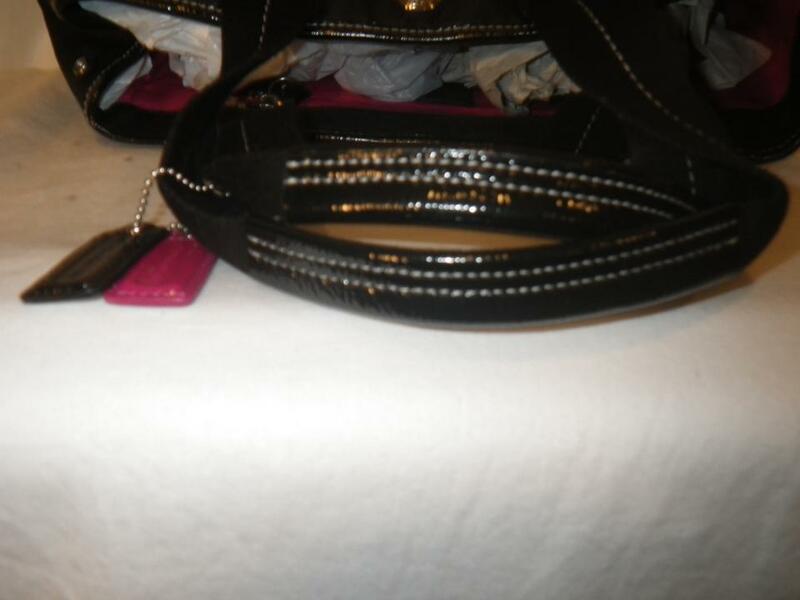 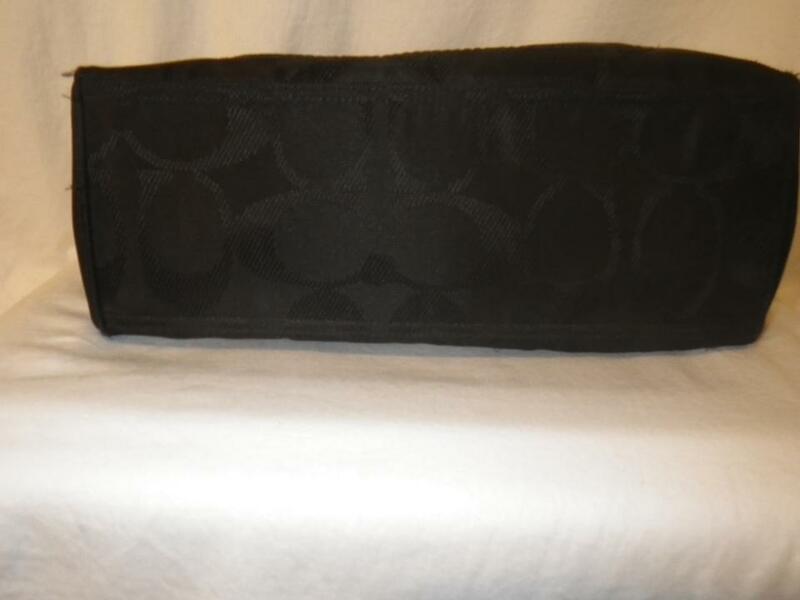 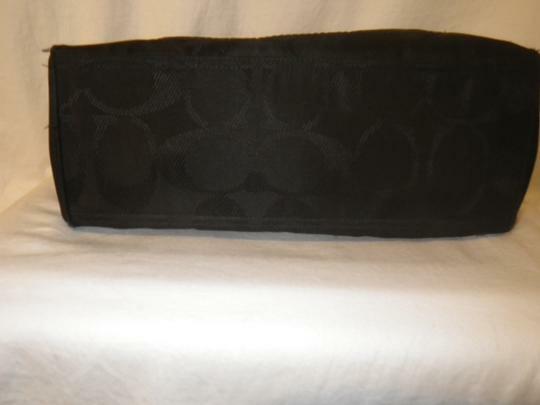 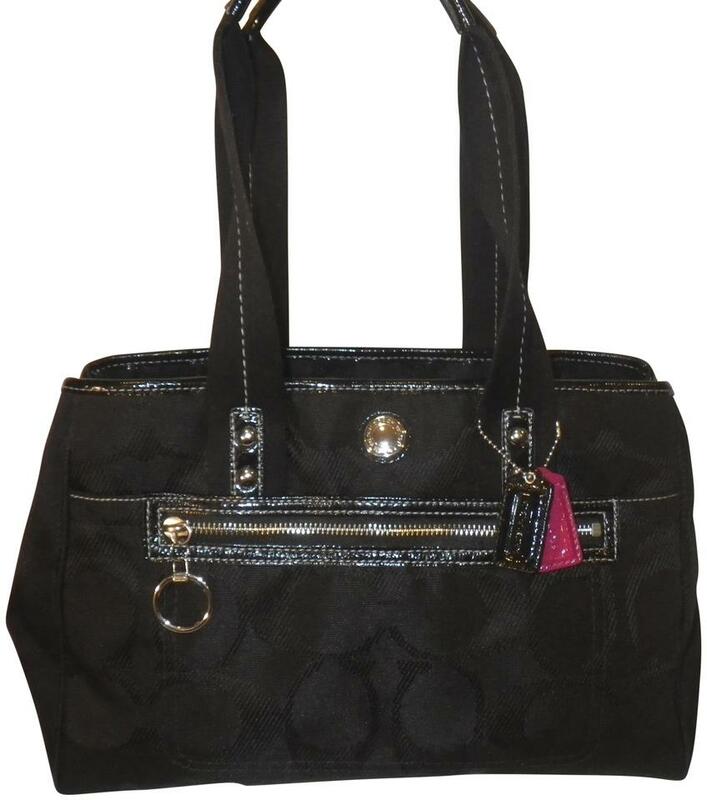 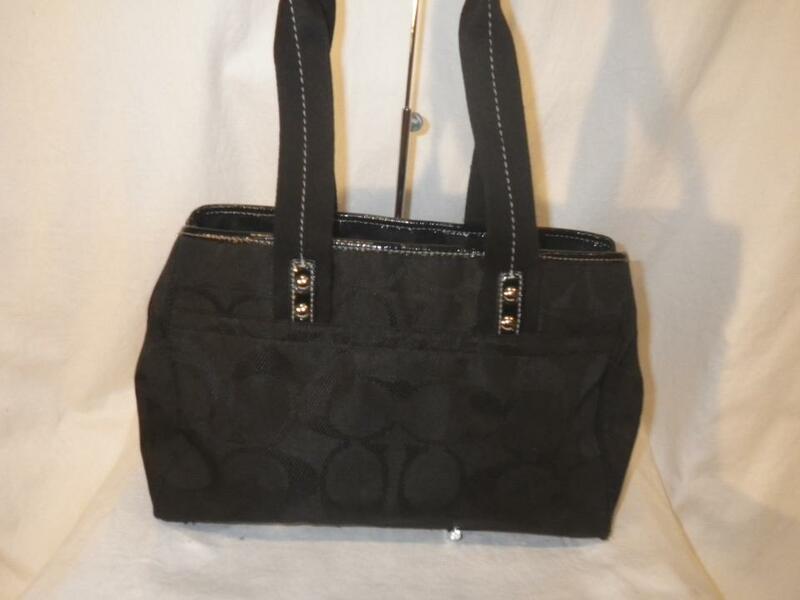 Coach black, canvas tote with outside slip pocket, CC print, Interior has 2 slip pockets with zip pocket with bright pink lining. 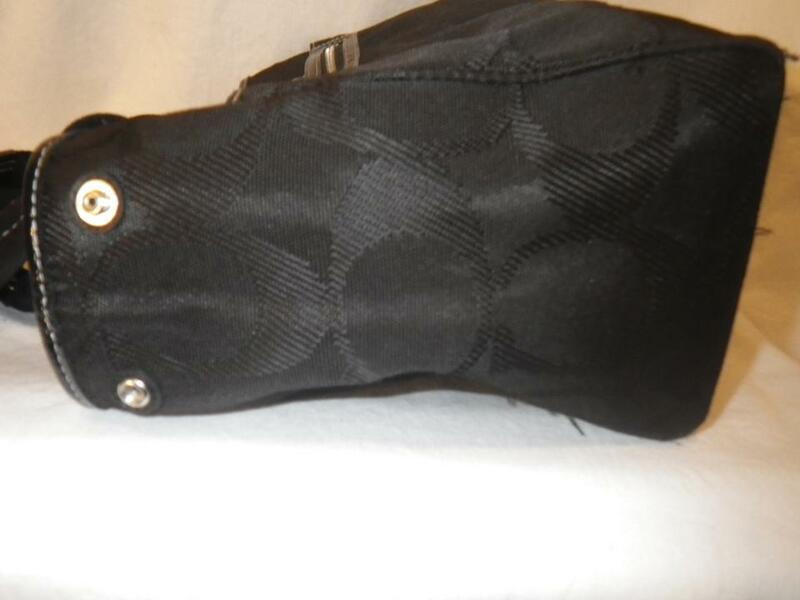 Straps have 13 inch drop. 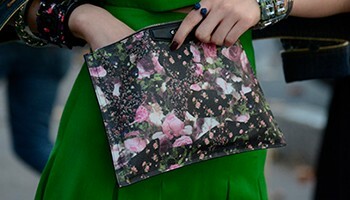 Side snaps to bring in the corners and change shape of the bag.